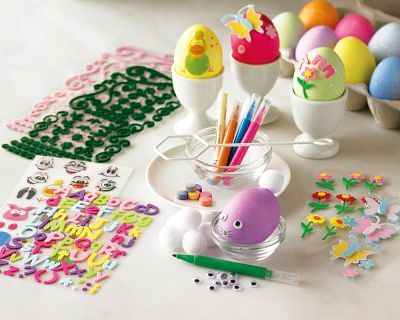 Sprinkle it with Love: Fun Easter Crafts! Check out these adorable edible sheep from southernliving.com. Super cute and tons of fun to make with the little ones! 1. To shape the body, use melted white candy coating (found in the baking aisle) to secure miniature marshmallows to one Pepperidge Farm Milano Black & White cookie. 2. Attach Peanut M & M’s for hooves. 3. 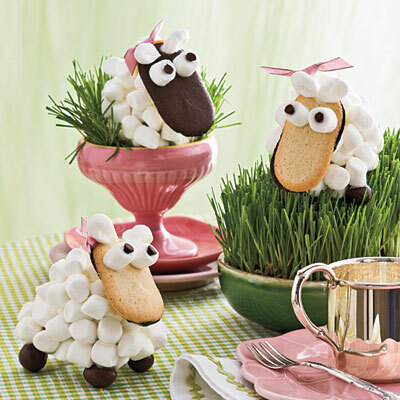 Use a second Milano cookie for the head, and attach miniature marshmallows and miniature chocolate morsels for the eyes. 4. Use flattened marshmallows, pinched together at one end, to make ears. Dying Easter eggs with young children under 5, can be a difficult task. The dye gets on their hands and it stains their little fingers and you wonder... what is this dye even made of? 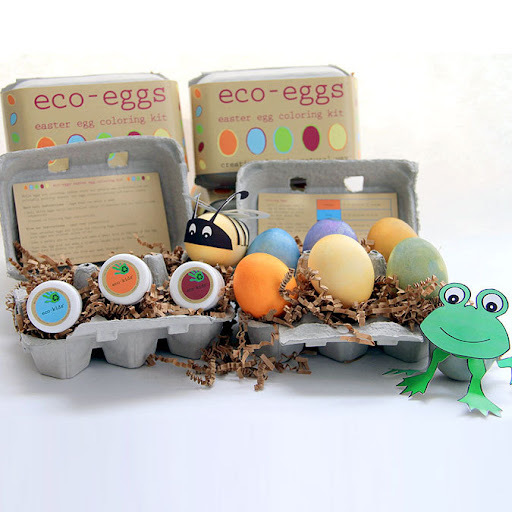 Well, I don't have an answer for that but, I do know that the dye in the ECO-EGG kit is made from all natural plant, fruit, and vegetable extracts. I cannot guarantee that it wont stain their hands, but at least you can feel better knowing the dye isn't made from harsh chemicals. You can order this kit online from eco kids, or purchase it in stores such as Williams Sonoma or even your local Whole foods. 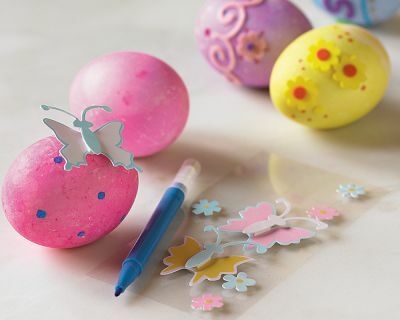 Also at Williams Sonoma they have this super cute Easter egg decorating kit. It has tons of cute stickers and designs to stick on your eggs once they are colored. Simply put, I love Easter and I really LOVE egg decorating!